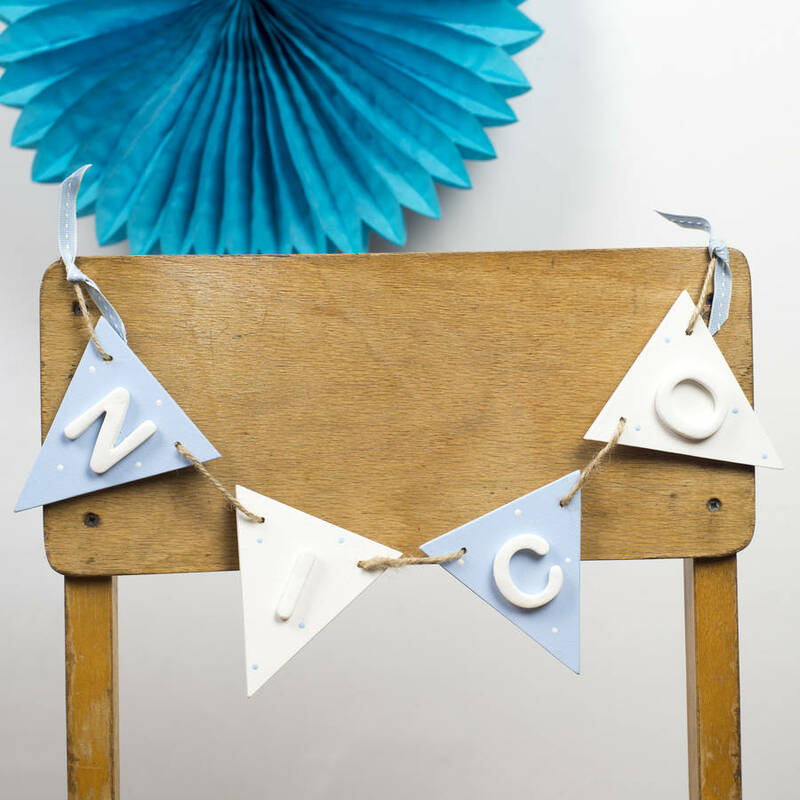 Pretty country style hand painted wooden name bunting with ceramic letters which can spell out any name or message. This unique rustic wooden personalised name bunting for boys makes a perfect finishing touch to a bedroom or nursery. Hang the bunting from shelves and bookcases, above the curtains or bed to spell out the child's name or special message. 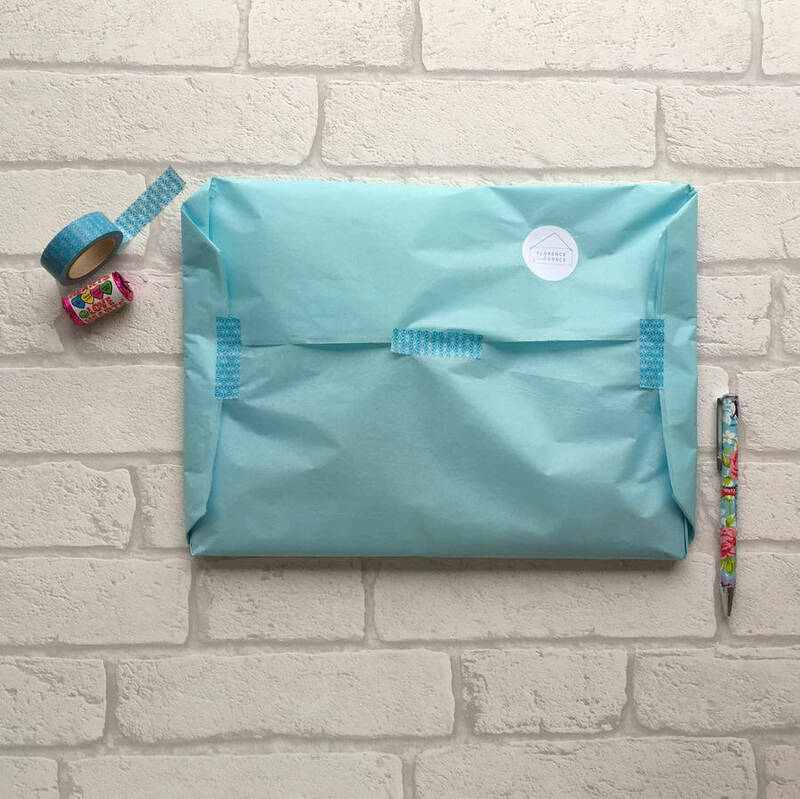 The soft colours and shabby chic style make it a fantastic new baby, Christening, Christmas or birthday gift. You can make this bunting truly unique and personal by spelling out a name or special message with the flags. Choose one flag per letter when ordering. Each Flag is 10cm x 10cm.